* Flow scfm based on 5.0 psi s p @ 100 psig inlet. The miniature fog lubricators are designed for low flow applications where space is limited. A 20 micron particulate filter removes water, pipe scale, dirt and rust. 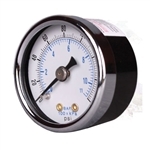 A regulator is used to reduce and maintain the pressure at a level suitable for the work device. Lubricator is used to add lubricating oil in aerosol form into the compressed air line and increase the life of the work device.